Product Dimensions Vary Based on Size of Sectional. The Parker Collection is taking comfort to a whole new level! 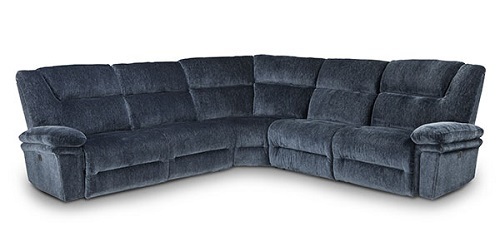 This wide seat sectional is designed for cuddling and relaxation. Not only that, but it is loaded with options. You have your choice of over 700 fabric options to suit your taste. You can build your sectional to fit your room in any configuration you want. Recline at the push of a button, or choose a manual recline with a gravity assist outside handle. If Power is your thing, then you’ll be pleasantly surprised to find the Power Tilt Headrest is great for supporting your head and neck while watching a movie or reading. With a built-in USB charging station (on the power option) you’ll never have to worry about getting up again. To take relaxation one step further, we've added our innovative Performa Weave cushioning material to the chaise lounge for a cooler, more comfortable seating experience.